Consider yourself a bit of a tea expert? Or maybe a bird whisperer? Or perhaps you’re an absolute pro at standing motionless in a queue? Some of these roles need years of experience, but others require no skills at all. Here’s a list of some of the weirdest jobs in London that people actually do (and get paid pretty well to do, too)! Brits are infamous for their queuing, but did you know that you can actually get paid to do it? Yes, paid. 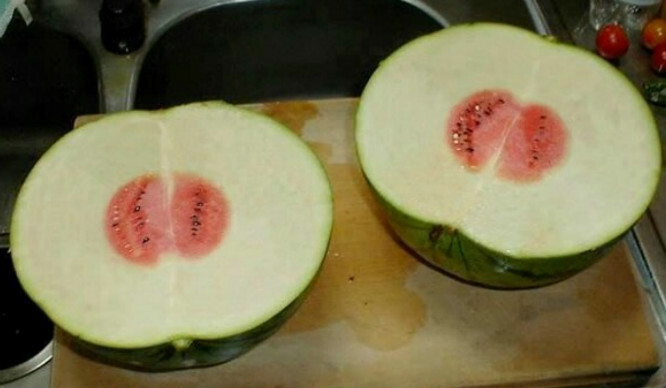 You don’t need any experience and you don’t need any particular skills, either… except maybe patience. Believe it or not, “professionals” can get paid up to £20 an hour for er… standing still. So, basically, if someone can’t be bothered to stand in line for something (and they have a stupid amount of money), they can get somebody else to do it for them. 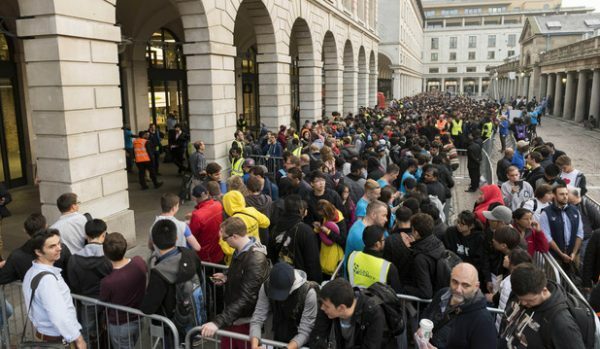 The first few people in the queue for the iPhone 6 on Regent Street were professional queuers, and they earned over £1,000. Where do we apply?! Literally all this job entails is playing the bagpipes outside the Queen’s window at 9am every weekday for about 15 minutes — essentially acting as a human alarm clock. The job came about in 1843 during Queen Victoria’s reign. 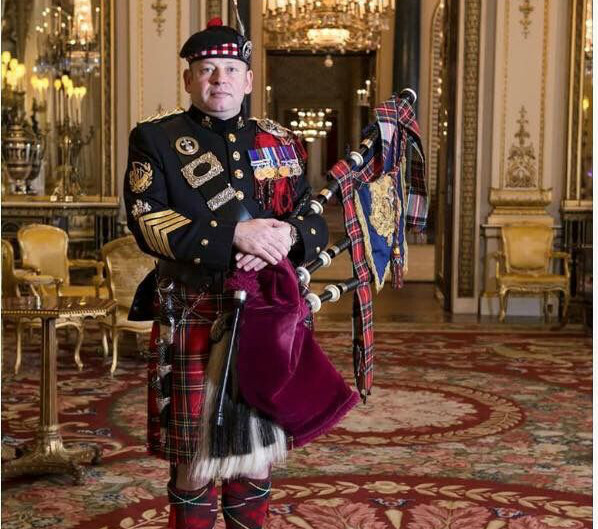 It is paid around £48,000 a year but you have to have served in the Armed Forces… and be able to play the bagpipes, of course. If you’re good with heights and good with umm… a window wiper, then this job could be for you. 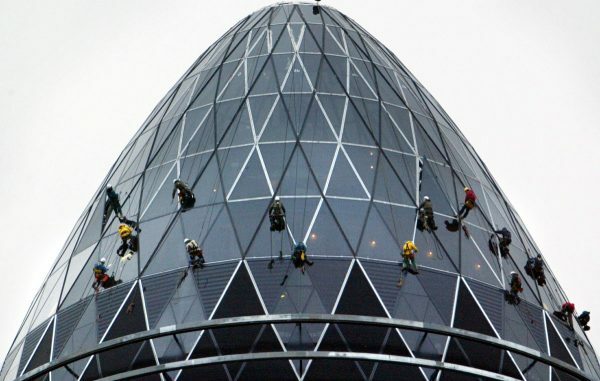 The Gherkin is almost 550ft tall, there are 7,429 panes of glass, and it takes 9 window cleaners about 10 days to complete the job. Doesn’t sound like an easy role, but that’s probably why they pay £50,000 for it. Another extremely British job. 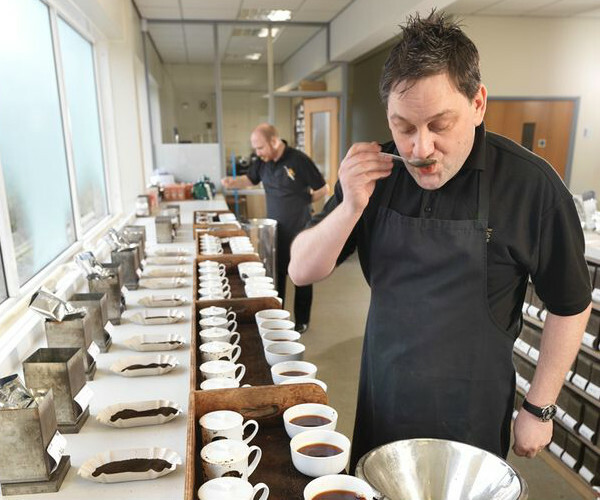 Apparently it takes 5 years to learn how to recognise the perfect cup of tea, and that involves drinking about 300 cups a day for 1,825 days. You’ll also get the chance to travel around the world. Not bad, eh? It’s not badly paid either, with a salary of around £25k a year. 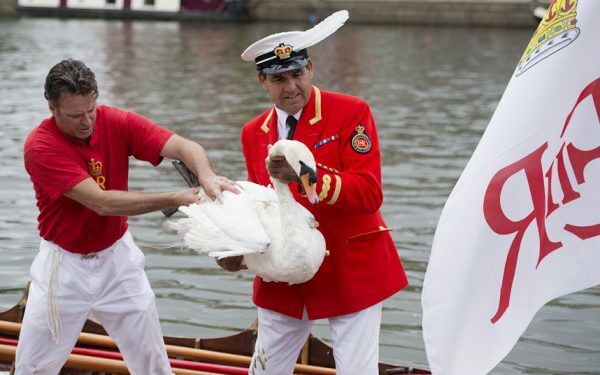 The Queen’s Swan Marker is in charge of running the annual Swan Upping, an event that dates back to the 12th century. Swans are caught, marked, and then released, as a way of monitoring the population of swans that are owned by the Queen. The role also includes keeping the swans healthy and raising welfare awareness across the UK. 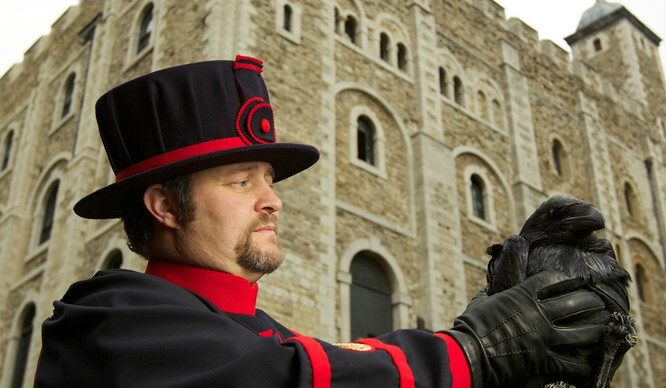 The Tower of London has six resident ravens and if any of them leave, the building will collapse and the whole country will fall apart — or so legend says. 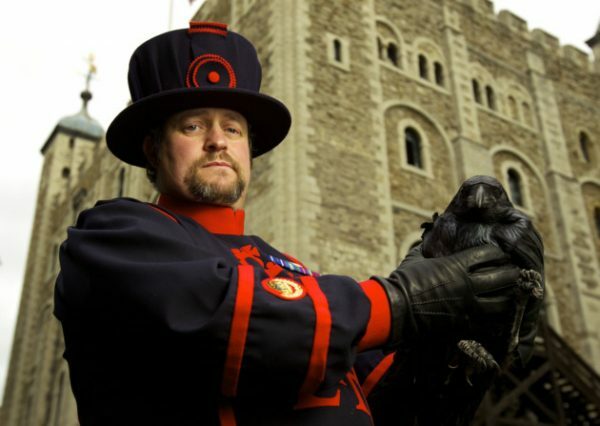 The role of the ravenmaster is basically to keep the ravens healthy and safe to prevent this myth from playing out. The current master has been at it for 11 years, and he and the ravens are very popular on Twitter. 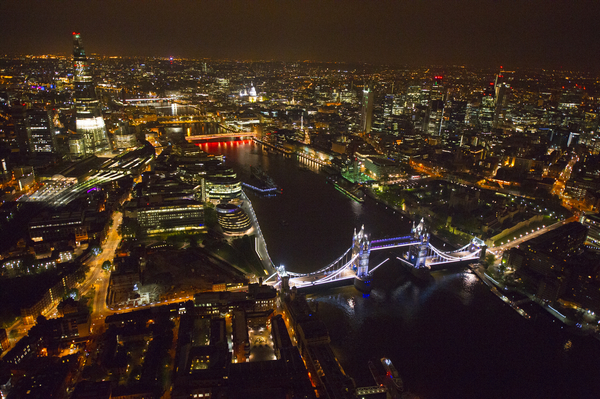 The Mayor of London is currently looking for a Night Czar to help shape London’s future as a 24hr city. Working with the Mayor himself, as well as the Met Police, TfL and other relevant agencies, the Czar will help to save London’s club scene and rejuvenate the nightlife economy. Sadiq Khan is looking for someone with proven leadership ability, a willingness to be in the public eye, and a good understanding of night time culture (we don’t just mean clubbing and drinking, but it does come into it). 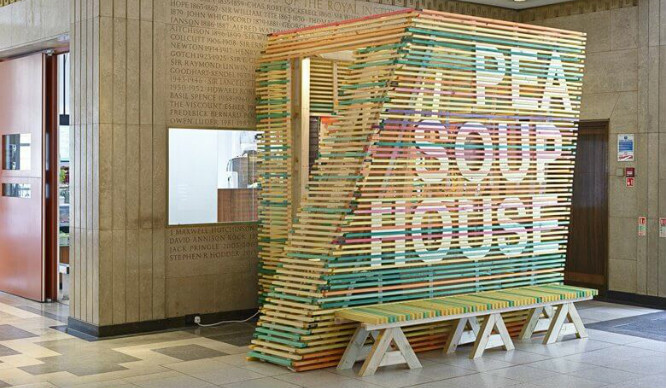 If you reckon you’ve got what it takes, you can apply here. They’re paying £35k and you only have to work 2.5 days a week.